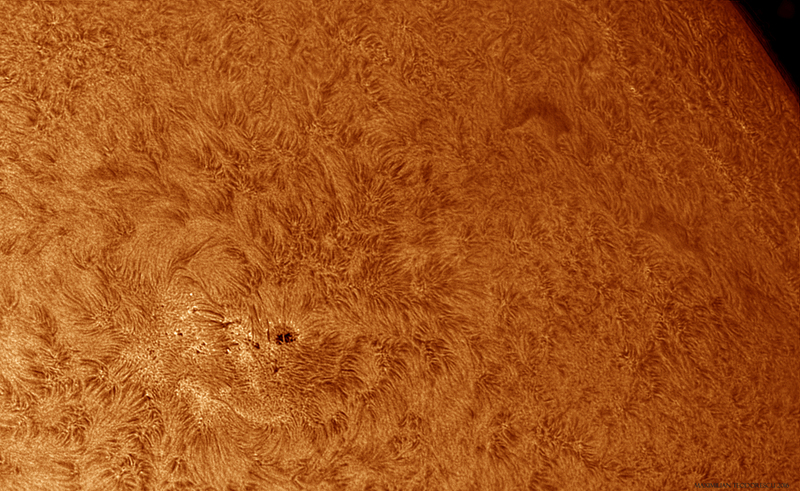 October is almost over, and despite the good conditions in the first days of the month, almost no H-alpha images were possible from my location due to clouds. The following few shots were acquired during a brief session with some good seeing conditions (mostly 5-6/10, occasionally 7/10). 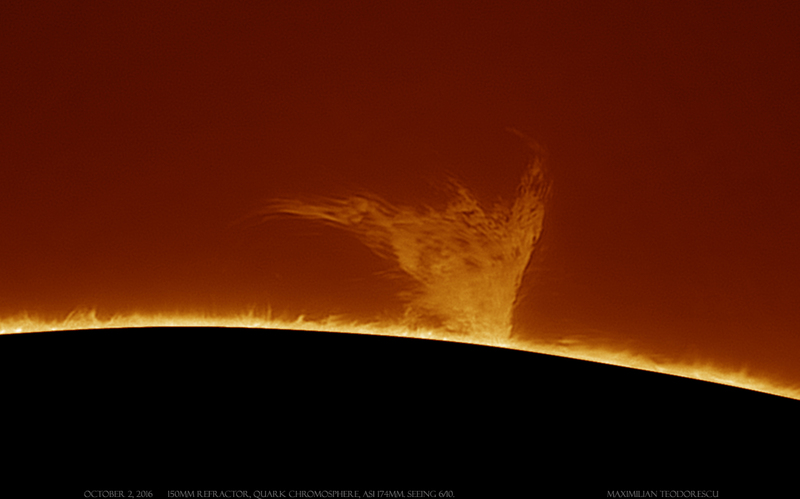 The presence of a luminous prominence on the limb made the session more remarkable. 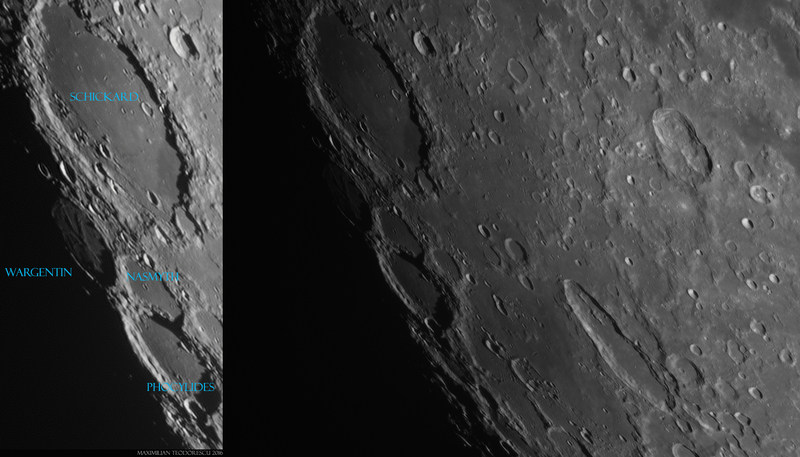 I’ve started processing some of the October 13 lunar images. Mostly poor seeing, but the goal of the night was to test some modifications to the 200m F/5 homemade Newtonian. 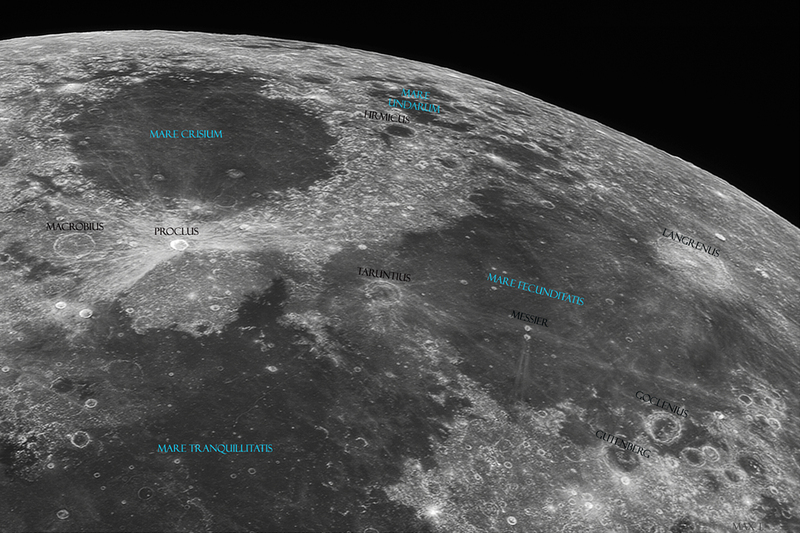 The modifications were OK, but the lunar images were of poor quality and so I will present the shots more like lunar formations identification charts. 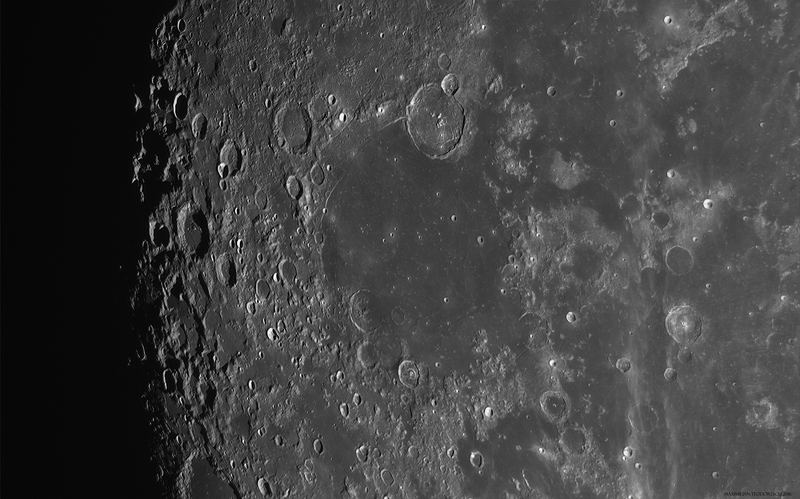 The equipment: 200mm F/5 Newtonian, 3x Barlow lens, ASI 174MM camera with Red filter. Seeing 4/10. 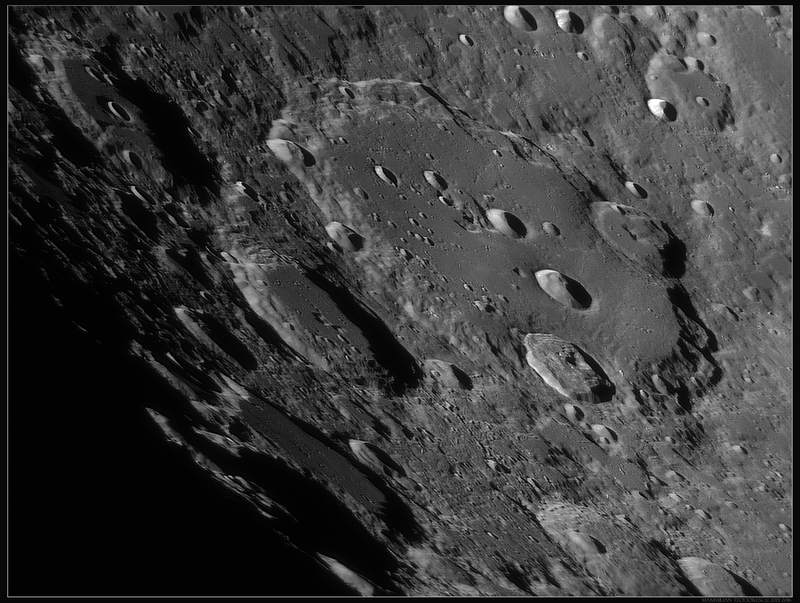 I’ve found some “old” stuff from December last year: 7000 frames with Clavius acquired under some of the best seeing conditions I’ve ever witnessed. 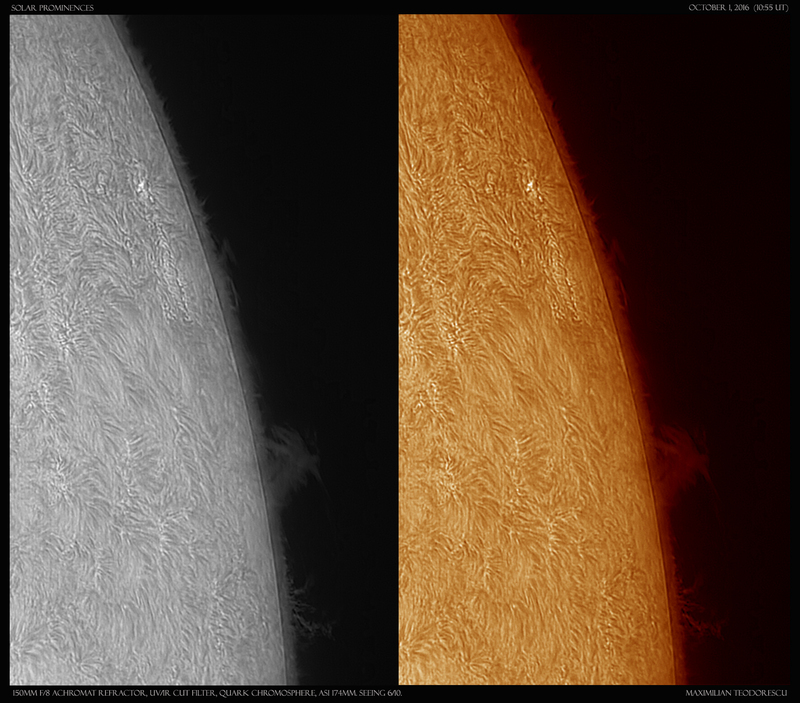 I had to reprocess this sequence to see if any more details could be uncovered. 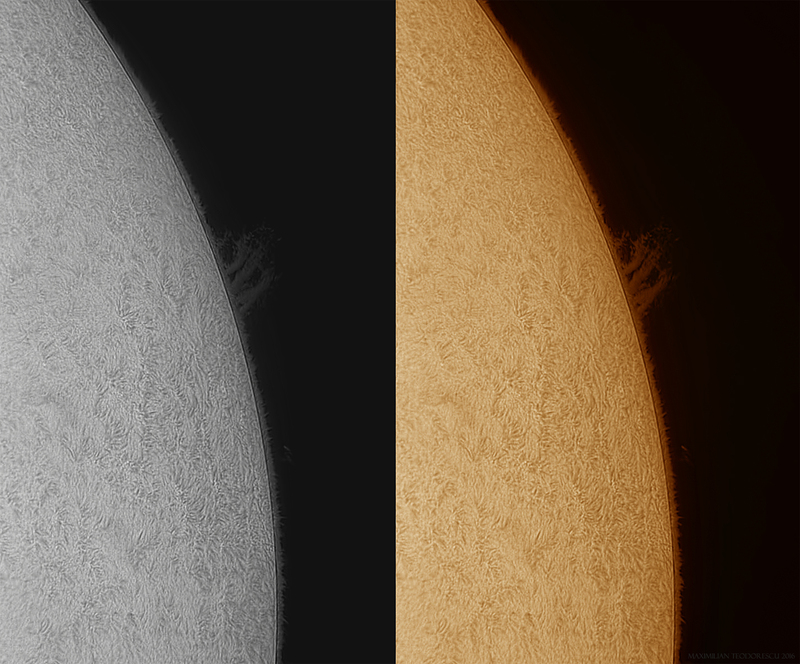 To be honest, no new details were found in the shot, but the new processing shows the smaller details a touch better. 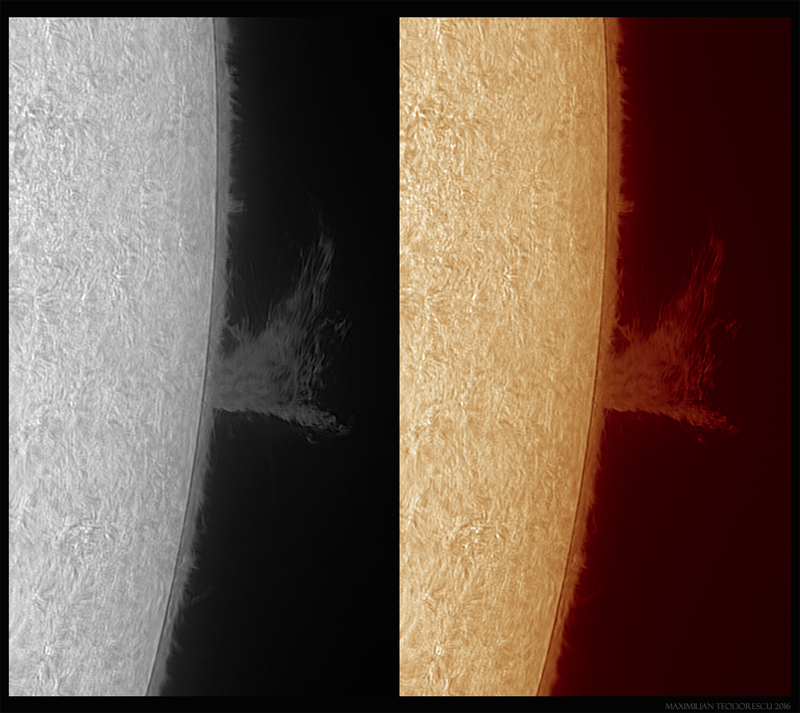 The sequence was acquired on December 21, 2015, using the homemade 355mm Newtonian at F/25 with the ASI 120MM-S camera and a Baader Red filter under close to perfect seeing conditions that lasted around 15 minutes. 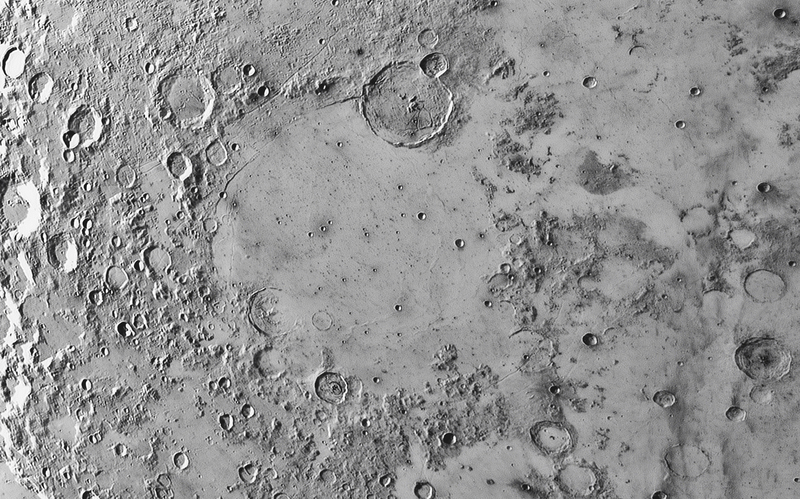 The original processing, together with the area of Moretus and the South Pole can be found here. 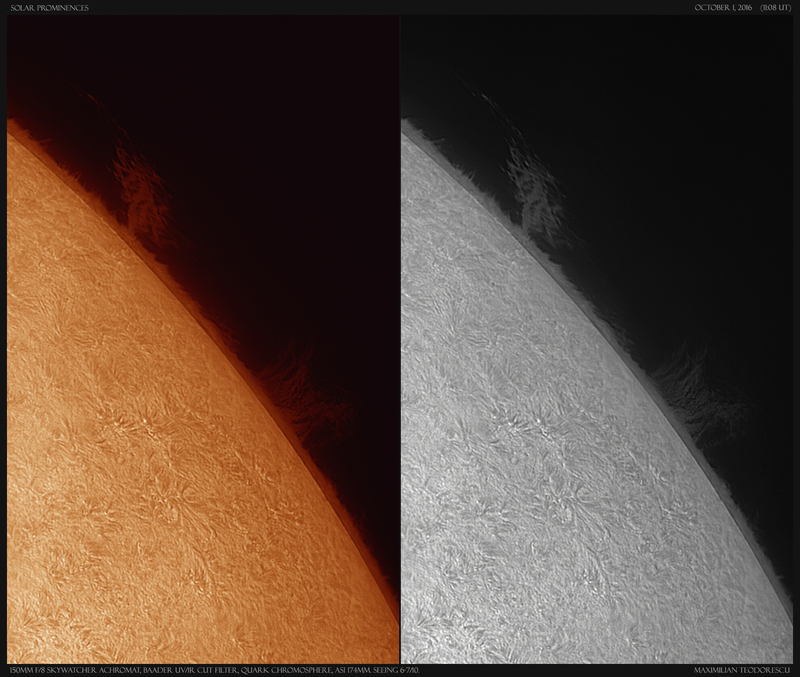 And a small animation showing the actual seeing conditions, created from the best 82 frames; no post-processing performed on these frames. The animations takes some time to load. As an exercise, one may download this animation, import it in VirtualDub software (or something similar) extract the frames, align them in Autostakkert!2 and then process the final image in AstraImage for example. 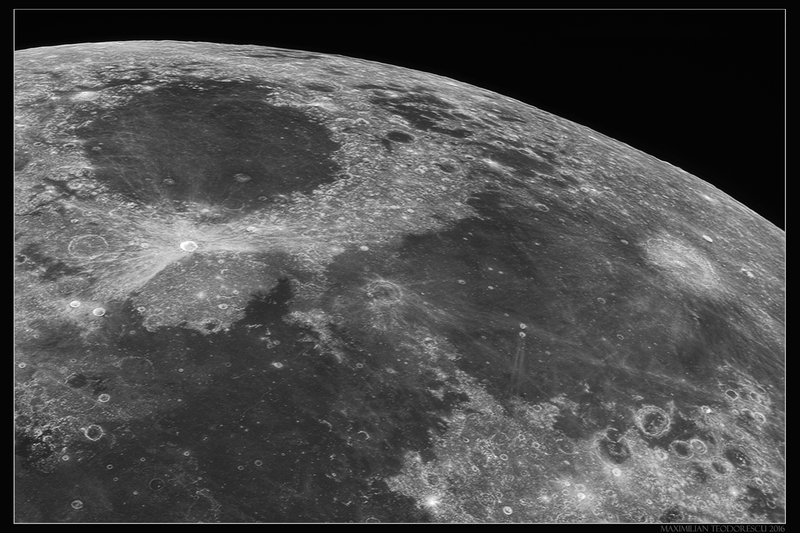 It is a good exercise for lunar image processing. The number of frames in the animation are enough for a good final image. 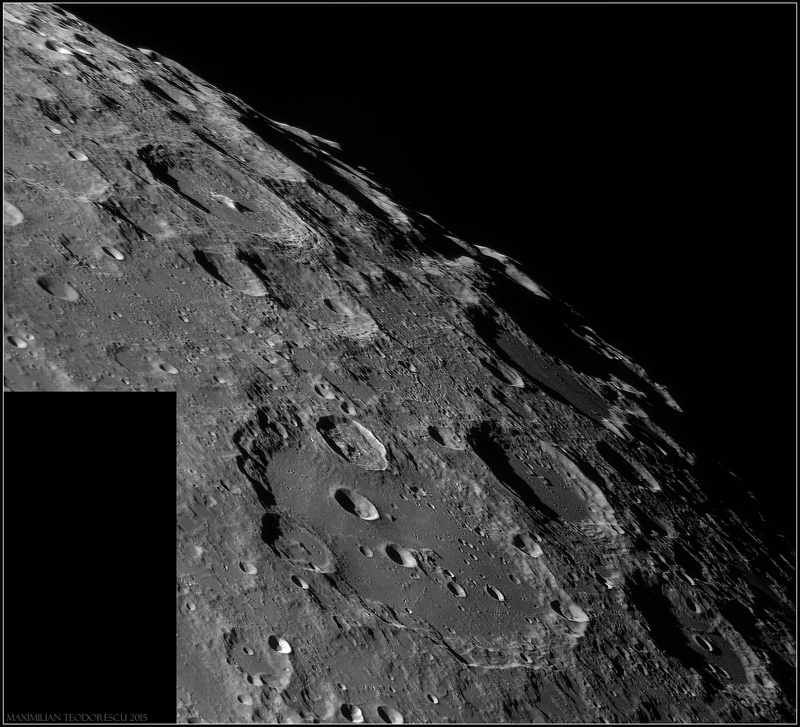 A lunar imaging session under strange conditions: good seeing but a lot of high altitude cirrus clouds, with almost no stars visible with the naked eye. 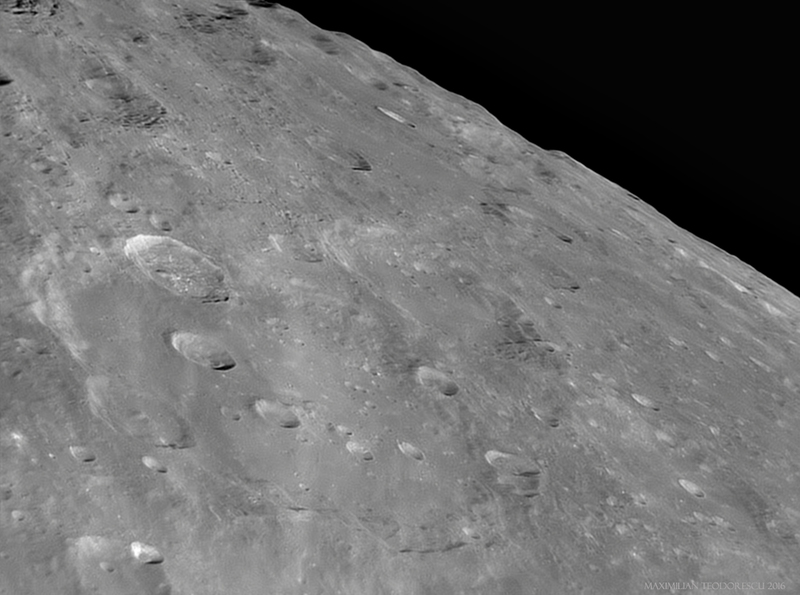 Still, some shots were possible, but with very high gain settings which added a lot of noise. 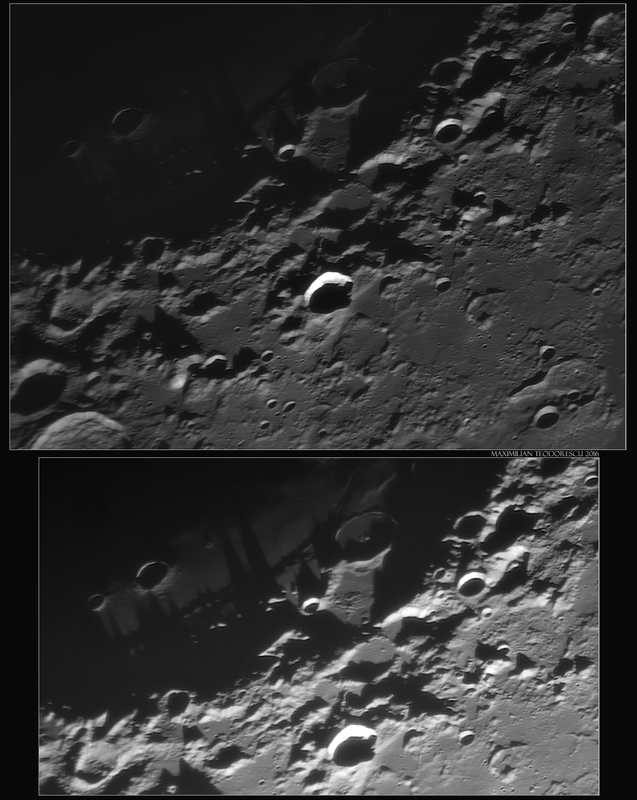 Equipment: 355mm homemade Newton, Baader 2.25x Barlow, ASI 120MM-S with Red filter. Seeing 6-7/10. 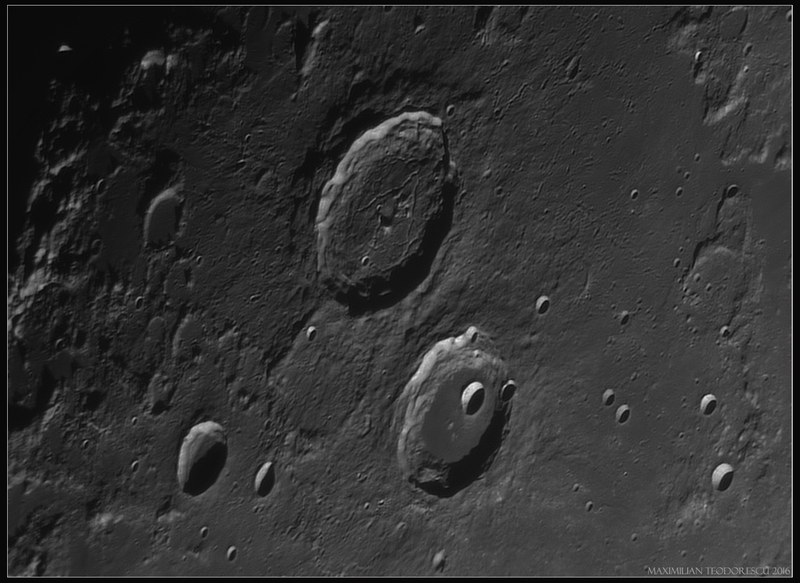 There were some very nice lunar formations to be captured under good illumination. 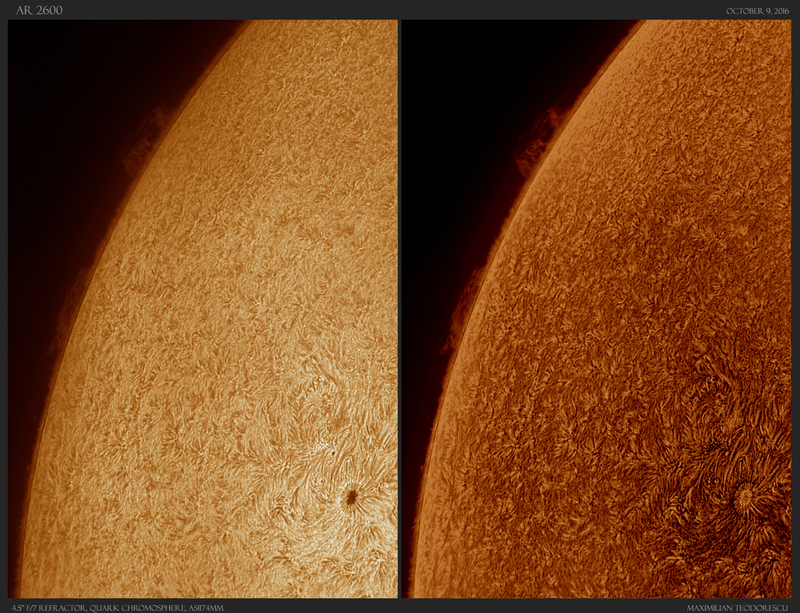 One last imaging session with the Sun in H-alpha light, before the bad weather installs. 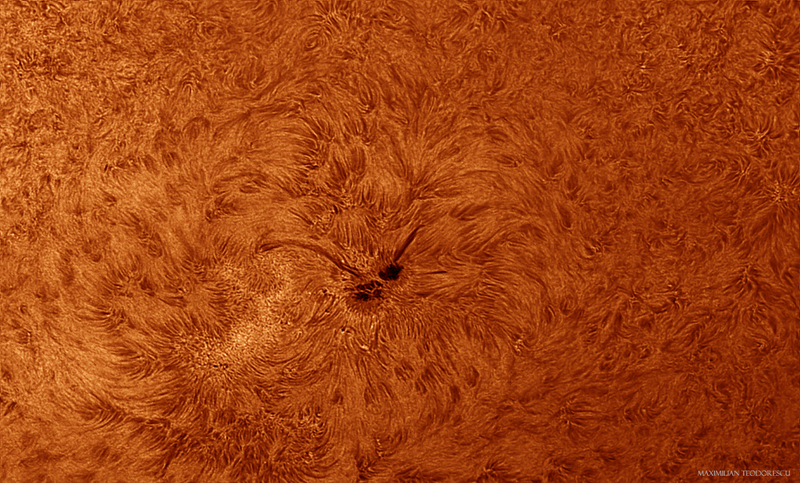 For the next week or so some clouds and rainfall are to be expected at my locations, so no astro-images for some time. 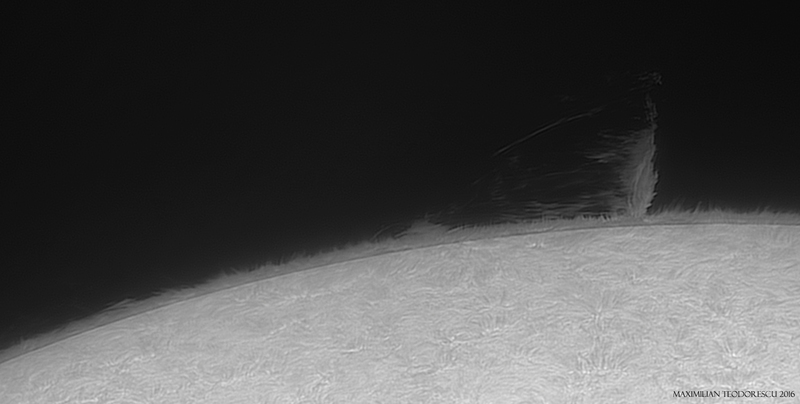 Today, I did manage to get some images of the many active regions and some prominences. 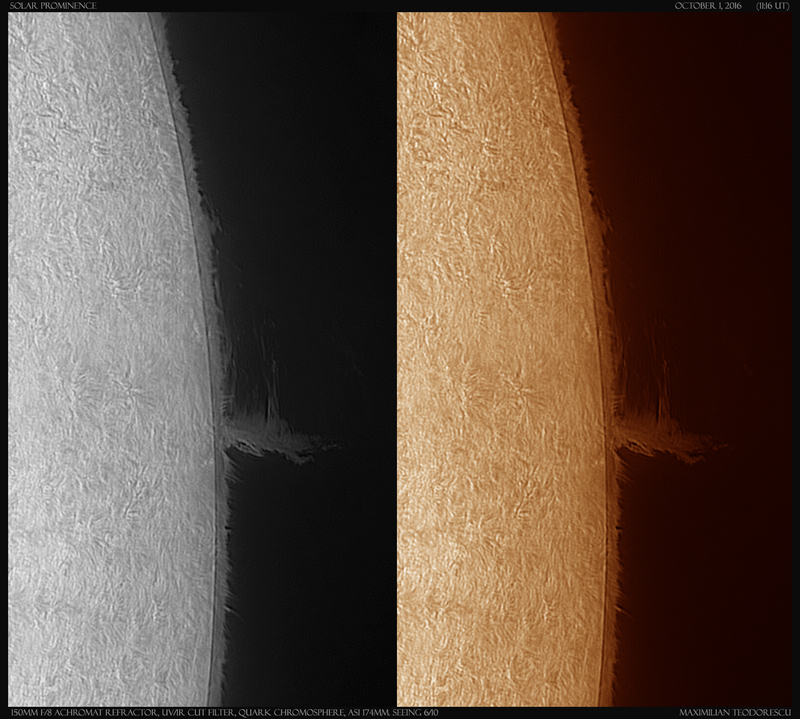 Also some white light images were possible despite the low altitude of the Sun. 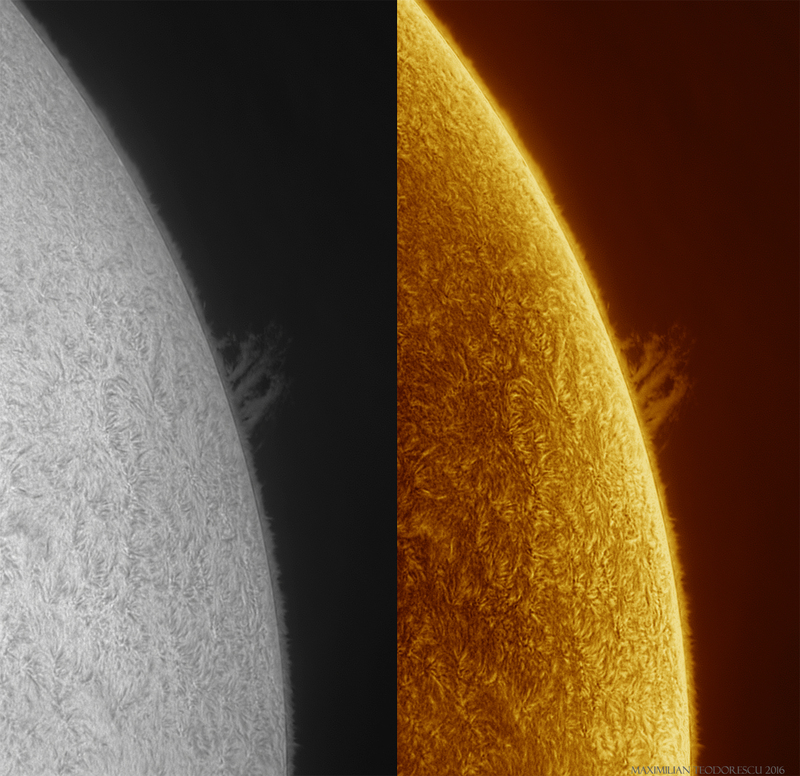 Two instruments were used, mostly the 115mm Refractor F/7 with Quark chromosphere filter and ASI174MM, and also with a full-aperture filter and Baader Green filter for white light. 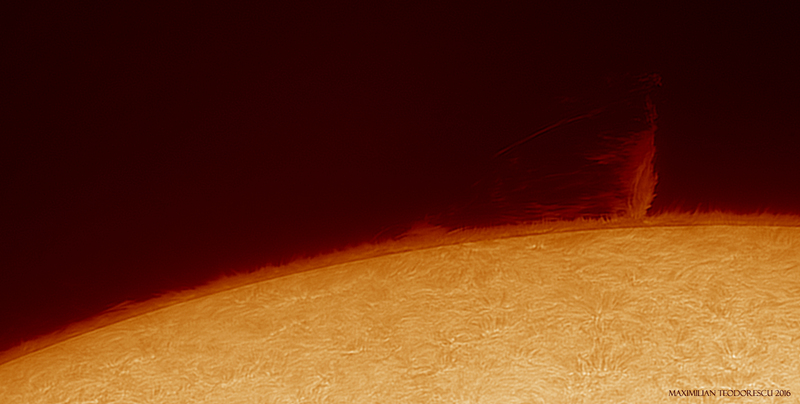 The second instrument was the 200mm homemade Newtonian, in a session a few hours after the first one; the Sun was at only 30 degrees of altitude for this last session. 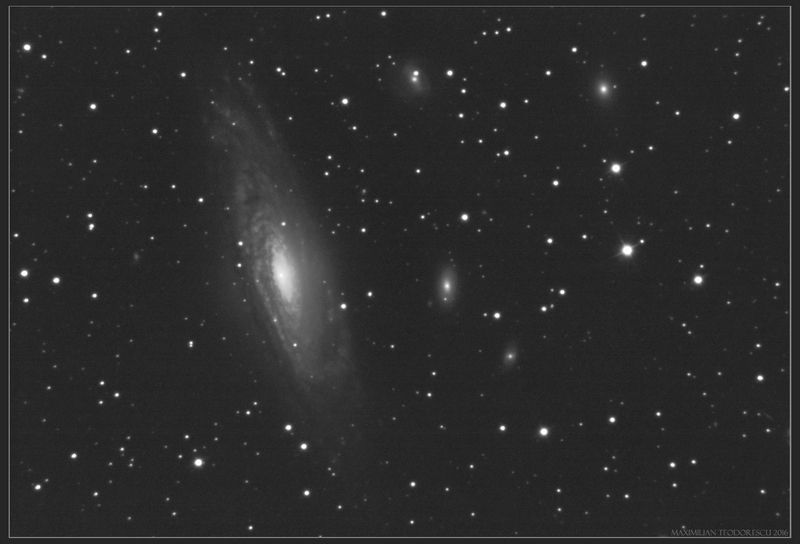 Another short-frame exposure, this time of NGC 7331, a lovely galaxy in Pegasus, rather luminous and with a lot of “friends” around it. The following was shot with the 355mm F/4.5, Baader coma corrector, and ASI174MM with no filter. 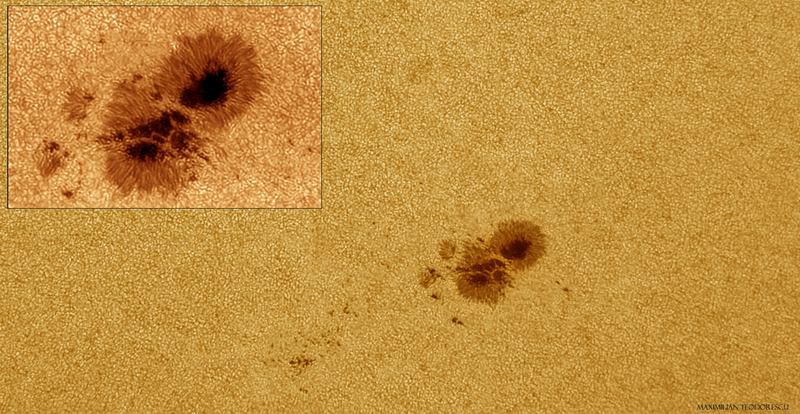 Poor seeing and not so great transparency, all on +5 mag suburban skies. 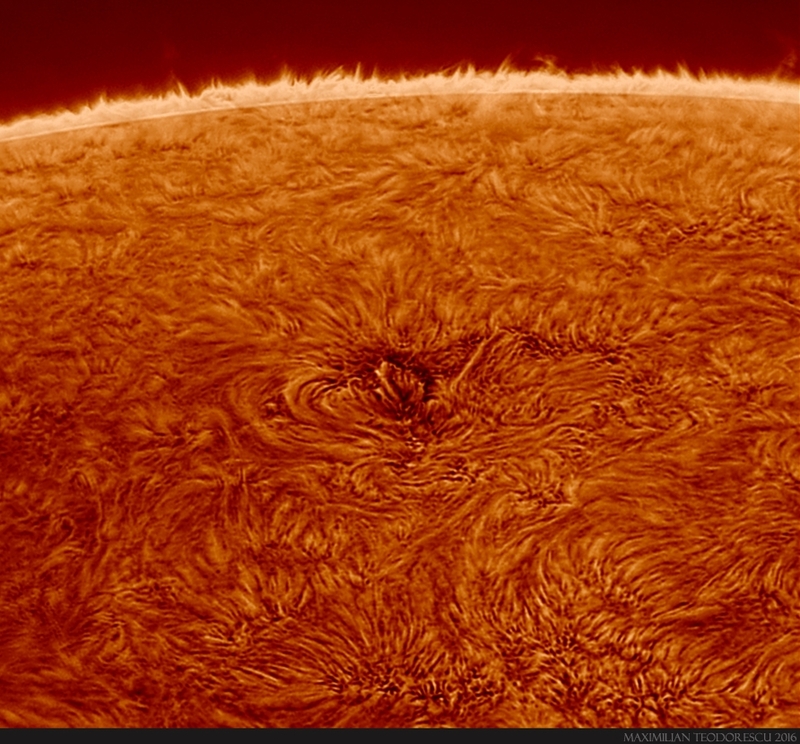 Only 500 frames for this image, each a 3 second exposure. It definitely deserves another session under better conditions, and at least 2000 frames.